These Terms will apply to any contract between us for the sale of Products to you (Contract). Please read these Terms carefully and make sure that you understand them, before ordering any Products from our site. Please note that by ordering any Products, you agree to be bound by these Terms and the other documents expressly referred to in them. You should print a copy of these Terms or save them on your computer for your reference. We amend these Terms from time to time as set out in clause 12 below. Every time you wish to order Products, please check these Terms to ensure that you understand the terms which will apply at that time. These Terms were prepared on 10th April 2013. 1.1 We operate the website www.purrform.co.uk. We are PurrForm Ltd, a company registered in England and Wales under company number 07757152 and with our registered office at PO Box 604, Abbots Langley, WD5 5BP. Our VAT number is 156064612. 1.2 We have been issued with Trading Standards Licence number: GB154E0254 and Animal Health and Veterinary Laboratories Agency Pet Plant licence number 18/139/8001 ABP/PTF. 1.3 If you need to contact us please email us using our online form or call customer services on 0800 909 8099 (9am-5pm Mon-Fri, Calls are charged at your local rate, calls from mobiles may vary). When you place an order with us, you are making an offer to buy goods. We will send you an e-mail to confirm that we have received your order. In the unlikely event that the goods are no longer available, or that we have made a pricing mistake, we will advise you of this. 2.1 The packaging of the Products may vary from that shown on our site. 5.1 You must be 18 years or older and have a valid credit/debit card, with full authority to use it, to submit an order through our site. 5.2 We can only accept orders for delivery to addresses in England, Wales and Scotland, excluding the Channel Islands, the Isle of Man and the Scottish Highlands and Islands and cannot accept orders for delivery anywhere else. 5.3 Please note that nothing in these Terms affects your legal rights as a consumer. Orders can be placed using the following cards: Visa, MasterCard, Maestro, Solo and Delta. To protect your security please be assured that no card details are kept in your “My Account” area. You can either, order by telephone, or online, as referred to below. You can also place your order over the telephone by calling our Customer Service team on 0800 909 8099 (9am-5pm Mon-Fri (excluding English bank holidays). Calls are charged at your local rate, calls from mobiles may vary). 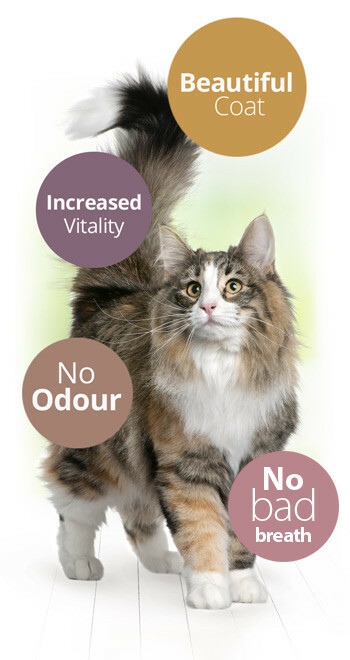 Once you have found a Product on our site which interests you, you can click on the “MORE INFO” button or on the picture or the name of the Product to display information on the Product such as weight and composition to help you choose the right Product for your pet. Once you have chosen your Product, you need to add it to your shopping basket by clicking on the ADD TO BASKET button. You can vary the quantity of the Product that you wish to order by clicking on the SHOPPING CART BUTTON, changing the quantity number and pressing update. You will always be able to see your updated basket at the top right-hand side of every page along with the number of items in your basket and the purchase price including the relevant delivery charges. Once you have finished shopping just click on the CHECKOUT button at the top right hand side of the page, and review the items you have selected. If you have any Loyalty Points (please see clause 8 below relating to Loyalty Points) that you would like to redeem please tick the box under the list of the Products you have selected and click UPDATE. You can always remove a Product from your basket by clicking on REMOVE or increase/decrease the quantity of each item by clicking on the + or – button next to the quantity box, or type the number you require and select the update basket button. 6.4.3 Why can’t I add an item to my basket? If the Product is not in stock, you can click on this button and request an email to let you know when it is back in stock. Once you are happy with the Products that you have selected, click on the “CONTINUE TO CHECKOUT” button at the bottom of the page. You will be requested to login to your account or to create an account prior to completing your purchase. This will then take you to our checkout page where you will be asked to enter your billing, delivery address and payment details. Once all the required fields are completed you can click on the continue button which will take you to your summary page where a confirmation of your order and order details will be shown. Please take a moment to check your order before making your payment. When you are satisfied that the details of your order are correct you should click on the continue shopping button and provide us with your preferred payment method (using one of the cards that we can accept, as referred to above) and make payment using our secure payment provider Pay Pal. 6.4.5 After you place an order online, you will receive an email from us acknowledging that we have received your order. However please note that this does not mean that your order has been accepted. We will confirm our acceptance to you by email. The Contract between us will only be formed when we send you this acceptance email. If we are unable to supply you with a Product, for example because that Product is out of stock or no longer available, we will inform you of this by email, and we will not process your order. If you have already paid for that Product, we will refund you the full amount as quickly as possible. 7.1 We operate a delivery service, as referred to in clause 5.2 above) for a price of £6.25 excl vat for a package with a total weight of up to 20kg. a) Orders received and accepted by us by 12.00 hours on a Monday, we will use our reasonable efforts to deliver on Wednesday of the same week, unless there is an Event outside our Control (as referred to in clause 10 below). b) Orders that are received and accepted by us by 12.00 hours on a Wednesday, we will use our reasonable efforts to deliver on Friday of the same week unless there is an Event outside our Control (as referred to in clause 10 below). All times are London times. If, in any case, either of the above days, or any intervening day, is a bank holiday in England or in the place in which delivery is to take place, the delivery date will be extended by one working day (a working day being a day that is not a Saturday or Sunday or a bank holiday in England or in the place in which delivery is to take place) for each day that is a bank holiday. If we are unable to meet the estimated delivery date we will contact you with a revised date. Products will be delivered by courrier between 8.00 am and 6.30pm on the relevant delivery date to the address that you have given us. You do not need to be available to accept the Products at that address but if no one will be available, you must ensure you have completed the comment box on the check out page, indictaing a safe place for the parcel to be left . As you will appreciate, given that the Products are perishable, it is important that they are retrieved from the address and put in a freezer on the delivery day, if they are not to be used immediately. Although you may receive an email from the courrier stating the goods must be signed for upon delivery, this is not required if you have indicated a safe place to leave them. In the unlikely event that your order should fail to arrive on the relevant delivery day please advise us of the fact by e-mail at: enquiry@purrform.co.uk within a period of 48 hours, providing us with your order number and delivery date, and we will investigate the reason and respond to you within a further period of 24 hours from receipt of your e-mail. If you have not complied with the conditions stated above, the Products will be deemed to have been delivered to you at the time that there was an attempted delivery to you, and you will remain responsible for the full price and delivery cost relating to them. Delivery will be deemed to have been completed as referred to above, after which they will be your responsibility. The Products must be frozen, or consumed, promptly, after delivery to you, in accordance with the instructions enclosed with them. Please note that given that the Products are perishable, you do not have a right to cancel your order under the Consumer Protection (Distance Selling) Regulations 2000. However if you are not satisfied with the Products, please either e-mail us at enquiry@purrform.co.uk or telephone us on 0800 909 8099 and we will do what we can to resolve your issue. If the Product is not the Product that you have ordered, or is faulty in some way, please contact us as referred to above, within 48 hours of receiving it, quoting the batch number on the packaging and return the actual incorrect or faulty item to us at the Return Address referred to below as quickly as possible so that we can establish what the problem is. Unfortunately, we are unable to accept the return of any Product or item unless it is not the Product or item that you have ordered, or is faulty in some way, and, as referred to in clause 7.3 below, you will remain liable for and still have to pay the full cost of it, including the delivery charge relating thereto. If the Product is not the Product that you have ordered, or is faulty in some way, we will refund you the reasonable cost incurred by you of returning the actual incorrect or faulty item to us (please send us the relevant return receipts so that we can see what we need to refund you). We will not be obliged to refund to you the cost of returning any other Product to us, nor the cost of returning any Product to us, which we believe, once we have examined the same, is not an incorrect Product or faulty in some way. Please take reasonable care of the Product and its packaging while it is in your possession. The Product must if at all possible be returned to us in its original packaging and unopened. To return a Product, please enclose a note giving the reason for the return along with your order number, wrap the package securely and send it to us at the address below by the return date specified above. For your protection we recommend that you use a recorded delivery service when returning any Product to us as we will not liable for any loss or damage whilst in transit. Please note as above that we will only be obliged to refund the reasonable cost of returning incorrectly supplied or faulty Products. 7.3 What happens if I want to cancel/return Products even though there is nothing wrong with them? If your order has not yet dispatched by us you may cancel your order in full, however should any items have been dispatched by us then you will remain responsible for and still have to pay the full cost of those items, including the delivery charge relating thereto. Should your order be returned to us by our courier due to a refusal to accept it or due to non delivery as a result of no one being available to receive it or due to the incorrect address having been given, or due to some other reason which is not our fault, you will remain responsible for, and still have to pay, the full cost of the order, including the delivery charge relating thereto. For every £2 you spend on an order from us you will be awarded a Loyalty Point worth £0.01 to be redeemed against future orders from us (in accordance with the terms below). Loyalty Point cannot be redeemed in conjunction with any other vouchers or promotional offers. Loyalty Points cannot be redeemed against delivery charges. Loyalty Points can only be redeemed against orders placed online only, prior to you placing the relevant order – we are unable to accept Loyalty Points in respect of any order after it has been placed. Once redeemed, Loyalty Points will expire and no longer be capable of being redeemed. Loyalty Points may not be redeemed after any stated expiry dates. Loyalty Points have no cash value and cannot be redeemed for cash. If in any case the value of the available Loyalty Points exceeds the value of the Product that you wish to order, the excess points will only be available for redemption against future orders, and we will not under any circumstances be obliged to reimburse you the difference in cash. 9.1 We only supply the Products for domestic and private use. You agree not to use the Products for any commercial, business or re –sale purposes, and we have no liability to you for any loss or profit, loss of business, business interruption, or loss of business opportunity. 9.2 We do not in any way exclude or limit our liability for any matter that cannot be excluded by law and your statutory rights as a consumer are unaffected by these Terms. 9.3 We will not be responsible for any defect in the Products as a result of your failure to store and/or handle them in accordance with the instructions enclosed with them, including without limit, your failure to freeze them and/or defrost them as required. 10.1 We will not be liable or responsible for any failure to perform, or delay in performance of, any of our obligations under a Contract that is caused by any act or event beyond our reasonable control (an Event Outside Our Control). 10.2.2 our obligations under a Contract will be suspended and the time for performance of our obligations will be extended for the duration of the Event Outside Our Control. Where the Event Outside Our Control affects our delivery of Products to you, we will arrange a new delivery date with you after the Event Outside Our Control is over. 10.2.3 Delays due to unforeseen weather conditions will be out of Purrform control. We are not obliged to refund or exchange the product. 11.1 We may transfer our rights and obligations under a Contract to another organisation, but this will not affect your rights or our obligations under these Terms. We will always notify you by posting on this webpage if this happens. 11.6 Please note that these Terms are governed by English law. This means a Contract for the purchase of Products through our site and any dispute or claim arising out of or in connection with it will be governed by English law. You and we both agree to that the courts of England and Wales will have non-exclusive jurisdiction. However, if you are a resident of Scotland, you may also bring proceedings in Scotland. We may revise these Terms from time to time. Every time you order Products from us, the Terms in force at that time will apply to the Contract between you and us. Whenever we revise these Terms in accordance with this clause 12, we will keep you informed and give you notice of this by stating that these Terms have been amended and the relevant date at the top of this page.